United Nations (United States) (AFP) - The UN Security Council on Monday backed a call by the UN's top aid official for a humanitarian truce in Aleppo after four hospitals were bombed and civilians were killed by air strikes in the Syrian city. Warning that food will soon run out in Aleppo, UN aid chief Stephen O'Brien called for 48-hour weekly humanitarian truces to prevent a "medieval" siege from taking hold. "The international community simply cannot let eastern Aleppo city become yet another -- and by far the largest -- besieged area," O'Brien told the council. "This is medieval and shameful. We must not allow this to happen." O'Brien, the UN's under-secretary-general for humanitarian affairs, said food supplies in rebel-held eastern Aleppo were expected to run out by the middle of August. Britain, France and the United States quickly endorsed the plan, and Japan's Ambassador Koro Bessho, who holds the council presidency, said there was "overwhelming support for the idea" among the 15 council members. French Ambassador Francois Delattre compared Aleppo's plight to that of Sarajevo during the Bosnian war and said "the Security Council simply cannot accept such war crimes -- yes, war crimes -- to repeat again." 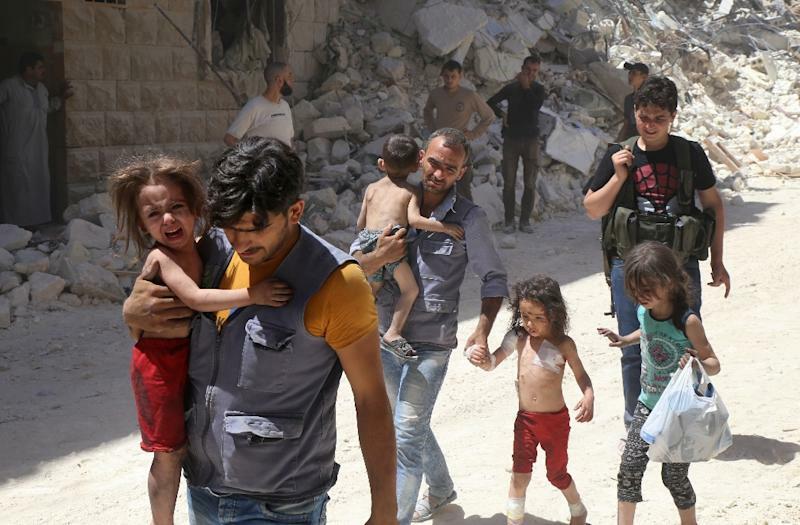 Syrian regime forces seized the last remaining supply route to Aleppo this month and all humanitarian and commercial movements came to a halt on July 7. Syria and its allies are "determined to besiege, starve and bomb Aleppo until they reach their military goal: eradicating the opposition. This is what the siege is all about," Delattre told reporters ahead of the meeting. Over the weekend, four hospitals were bombed in Aleppo, jeopardizing medical care for more than 200,000 desperate civilians. 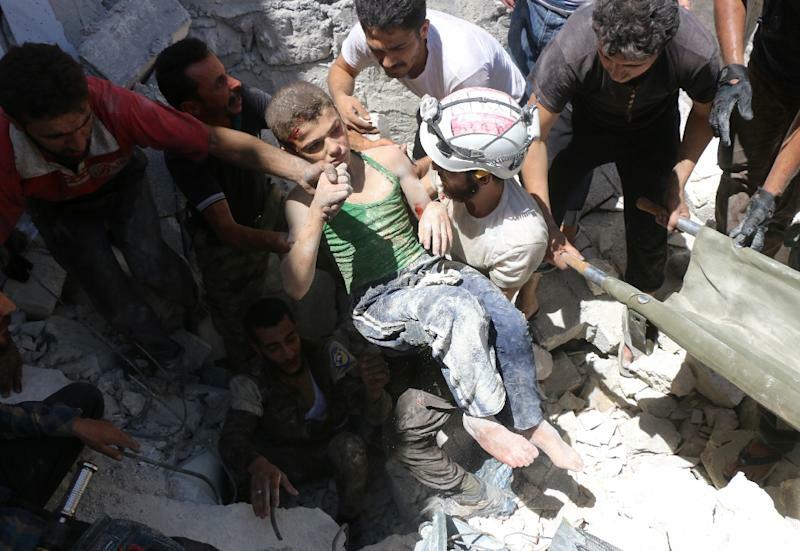 On Monday, air strikes and barrel bombs killed 16 civilians in Aleppo, according to the British-based Syrian Observatory for Human Rights. "Enough is enough now," British Ambassador Matthew Rycroft said. Rycroft said the council was looking at possible action to address the crisis in Aleppo, but did not provide details. Council support for the proposed truces could lead to a draft resolution to enforce the UN plan, but it remained unlikely that Russia, Syria's ally, would back such a measure. Russia said the so-called Castello road that was seized by regime forces was a supply route for weapons to jihadists, including the Al-Qaeda linked Al-Nusra Front. Russian Ambassador Vitaly Churkin nevertheless told the council that in Aleppo, "there is a need there to prevent humanitarian disaster." The United States put the onus on Russia to persuade Syrian President Bashar al-Assad to halt attacks and re-open the Castello road. "Russia, the Assad regime and other groups fighting around Aleppo should heed the UN call for a weekly 48-hour pause to allow for deliveries of essential supplies," said US Ambassador Samantha Power. The council raised alarm over the humanitarian crisis in Aleppo on the eve of a meeting in Geneva between top US and Russian officials to try to lay the groundwork for a resumption of peace talks. More than 280,000 people have been killed in Syria in the war, which is now in its sixth year, and more than half the country has been displaced.